We bring the escape to you. Anywhere. We have created the ultimate teambuilding activity for your next corporate offsite, private event, or team gathering. 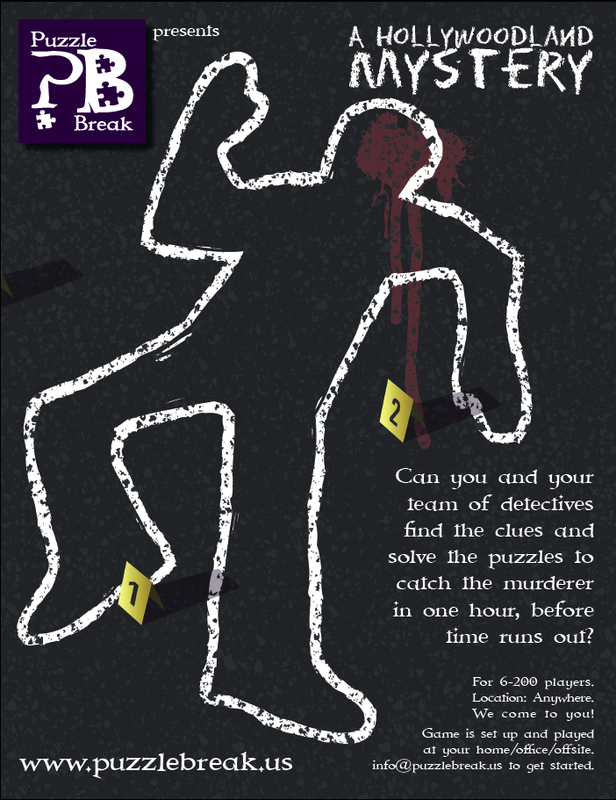 Teams of adventurers will join forces to find hidden clues, solve puzzles, and unravel a mystery before time runs out! Multiple games are available for unlimited players anywhere in the United States. Join the millions of escape artists who have experienced the magic of America's first escape room, Puzzle Break! Can you and your team of adventurers find the hidden clues, solve the puzzles, complete your quest, and break the witch's spell before it's too late? Bring "The Grimm Escape" to your next event. Anywhere. For unlimited participants.